Ingredients; Prunus Amygdalus Dulcis (sweet almond oil) Beeswax, Triticum Vulgare (Wheat) Germ Oil. 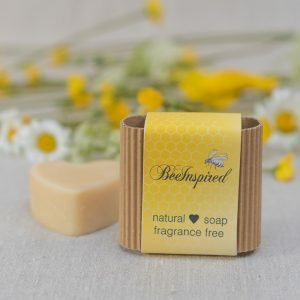 Fragrance Free – no essential oils added – no flavourings. 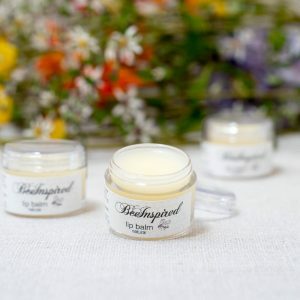 An effective beeswax lip balm – have just ordered a supply to give to family over winter a beautiful natural product. It stays smooth even in the cold winter months! 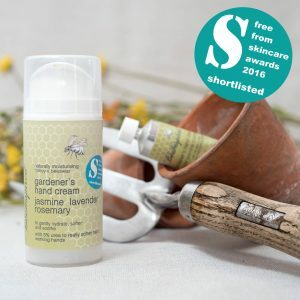 I have tried many natural and organic brands but this is by far the best – it’s just brilliant! 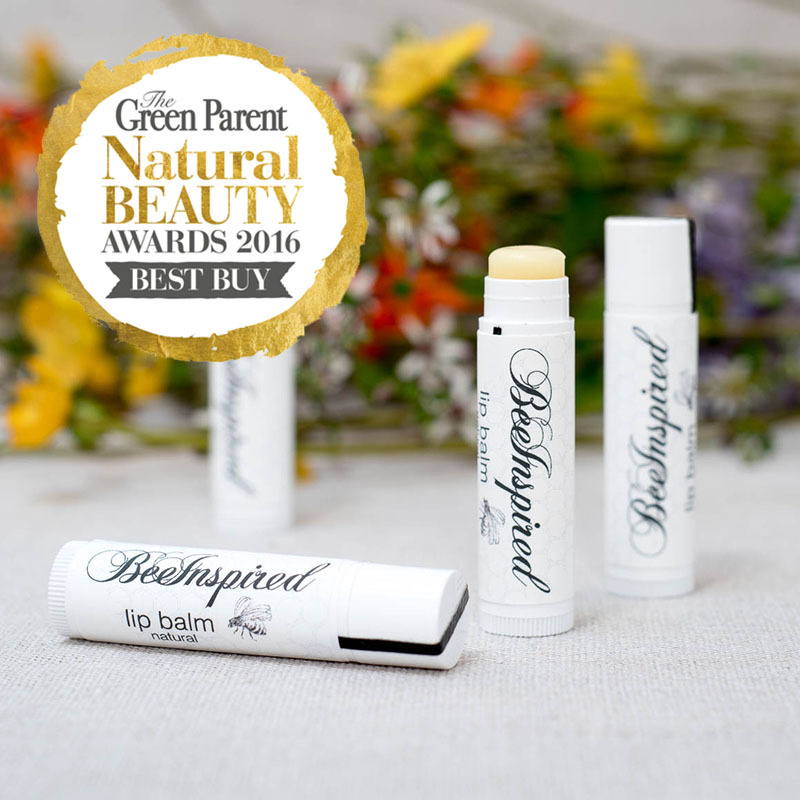 The best I have tried in natural lip balms out there – you won’t believe how effective and soothing it is. 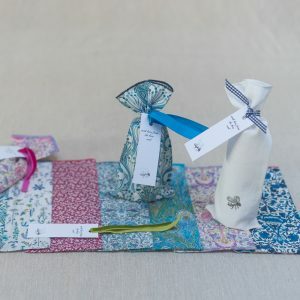 Just beautiful beeswax products, they are absolutely great! Thanks again!! I’ve been using for 4 years now and still the best. Outstanding product in any season! Can’t live without them! 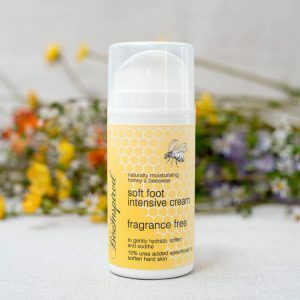 This intensive and luxurious foot cream really hits the spot for hard working feet with the addition of 10% urea, it is absorbed easily, leaving your feet feeling supple and pampered. The honey and beeswax ensure that even the weariest feet are revitalised in seconds. We were asked to make this by a podiatrist who had tried our Silky Hand Cream and realised its effect but she stressed that any good foot cream must have the urea content. 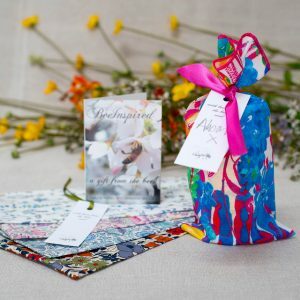 It took a year to find a supplier and we were given the thumbs up – it really does work! Urea not only softens all that hard skin but is also good for chilblains too. This Fragrance Free cream is great for those with sensitive skin. Easy to use – therefore maintains freshest of creams – all cream pumped out so no wasteful residue left inside. The pumps are completely recyleable, however please remove the label before doing so. Spring has sprung and we’re pleased to reintroduce Bluebell to celebrate the end of winter! Only available for a limited time. 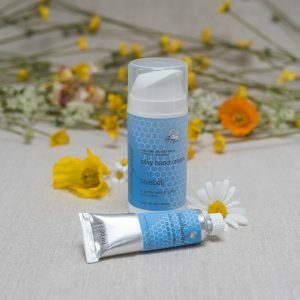 This intensive and luxurious hand cream really hits the spot for weary hands, it is absorbed easily, leaving your hands feeling supple and pampered. The combination of our honey and beeswax with plant oils ensure that even the weariest hands are revitalised in seconds. The quintessential perfume of the English bluebell is reminiscent of sunny day in late spring and a haze of blue carpet and woodland walks. Bluebells are one of the few flowers whose scent cannot be distilled naturally, so it’s our only cream with parfum, a truly effective one which nourishes, moisturises and protects. Make this your hands’ best friend. Keep it in your bag, your car, your office, your garden shed, wherever you like to be, keep some of this nearby. 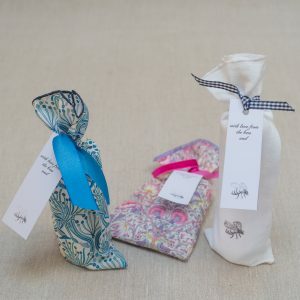 Fragrance Free so is perfect for those with sensitive skin. 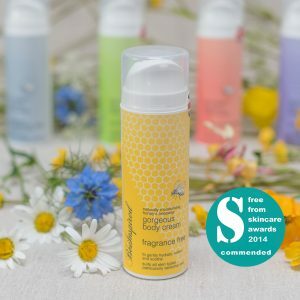 Having introduced Calendula Cream, which is virtually the same as this, with the added benefit of Calendula petals soaked in the almond oil to extract their soothing and calming qualities.